Here at Vivint Solar, we want more women leading in the solar industry. We recognize that diverse companies tend to be better innovators and perform at higher levels, which is why we’ve signed the ParityPledge, a pledge to commit to gender parity in business leadership, as part of our ongoing effort to diversify our workplace. We continue to ensure equal compensation by reviewing salaries at all levels of the company to ensure women are paid comparable salaries to men in equal positions. We also consider at least one qualified woman for every leadership role, VP-level and above. 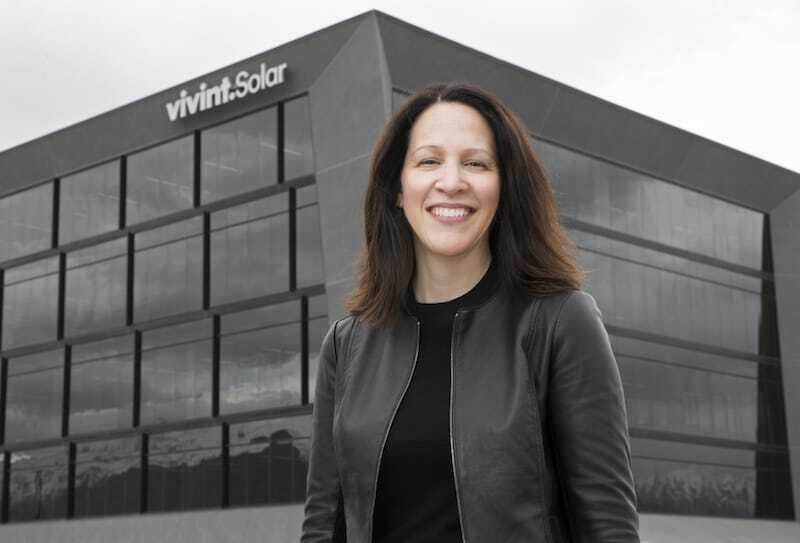 Dahl was named one of Utah Business magazine’s 30 Women to Watch in 20171 and worked for 15 years in banking and health care before switching her career to the solar industry - something she and the rest of Vivint Solar’s leadership team hope more women will choose to do. The percentage of women in solar is up from 2014 (27 percent of the solar workforce was female in 2017),2 but in 2016, women made up just 14 percent of senior management in power and utilities.3 Those numbers leave quite a bit of room for gender-parity improvement within the industry, and Vivint Solar’s commitment to the ParityPledge and other initiatives are strides in the right direction. We look forward to doing our part to close the gender gap, and benefit from the skills and expertise of many qualified women as we work towards this important goal.